Hey everyone, I hope it’s been a great new year for you all so far! I’m really sorry I haven’t been able to do much for my blog since changing my URL. 😦 Since starting up school again, with classes, homework, and other activities, my days have been very full and it’s been hard for me to find a lot of time for Animal Crossing related things. 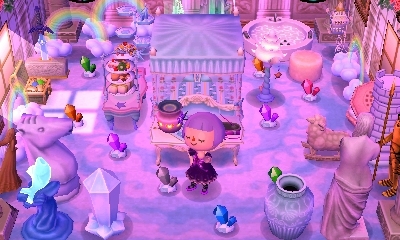 Usually I’m reluctant to post unless I have lots of pictures of one of my towns, but I feel like a little update is necessary since it’s been so long. 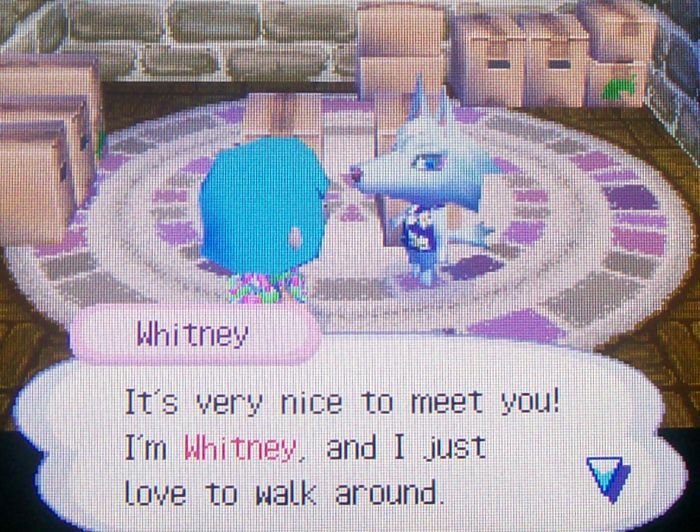 In my last post, I hinted that a return to playing AC:WW regularly again was a possibility, but that I hadn’t decided yet, with AC:3DS coming out in the not too distant future and all, and my town being months behind. Well, I decided recently that I do want to start playing in my AC:WW town again and posting about it. Whenever I say my town is behind, I mean that for a number of days (or months :oops:), I didn’t play AC:WW. 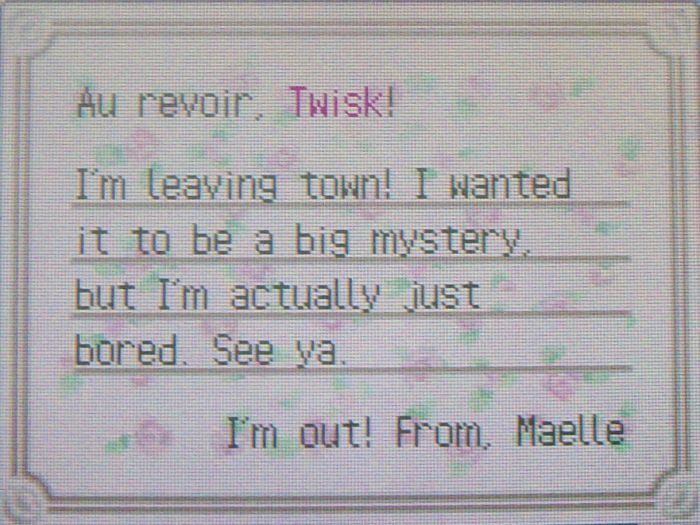 And when I want to play again, I set the DS date to the last day that I played to prevent neighbors from moving away and flowers from dying. So when I’m behind in time like this, to catch up, I time-travel forward one day, play that day, time-travel forward another day, play that day, and so on until I’m at the present day. But this time, I felt my town was just way too far behind to catch up this way, so I decided to just set my town to the present without playing the days in between. I also didn’t have to worry about flowers because I’d packed them up a long time ago because of dead spot testing and hadn’t put them back in town yet. …lots and lots of weeds! It’s not very fun to pull that many, but if you’re focused, it doesn’t take forever. 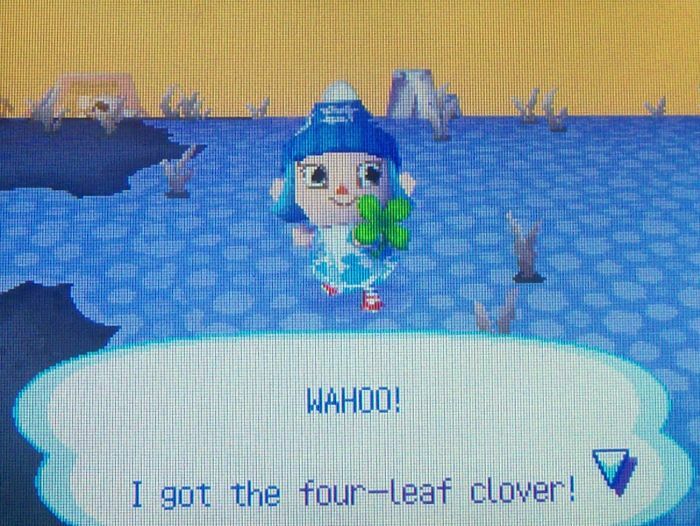 And on the plus side, I found three four-leaf clovers! And lots of gyroids. 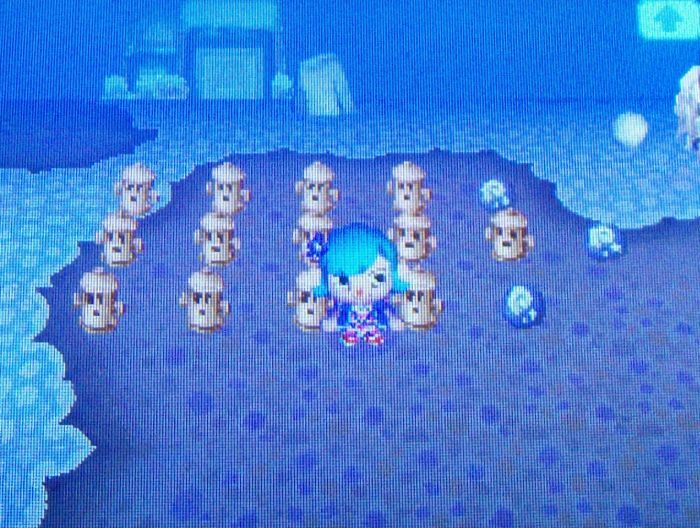 As you can see, only three fossils were to be found after all that time; this is because you can only have three fossils buried in your town at once, so it’s important to dig them up each day in order to get new ones. 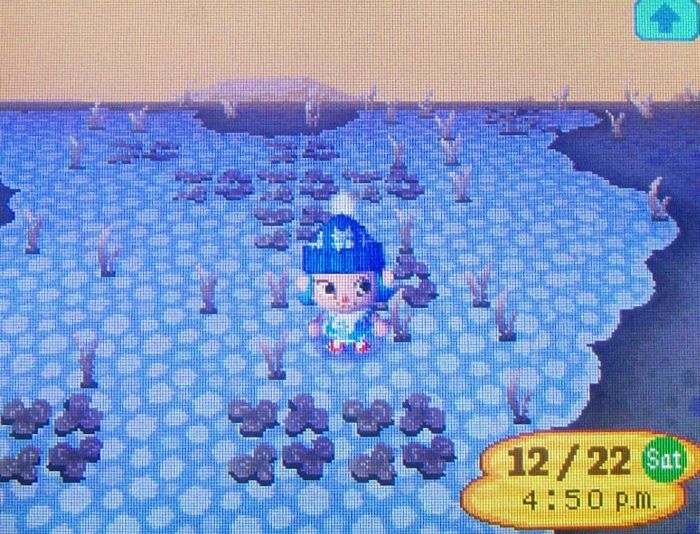 New gyroids are planted after any day it rains or snows, so they accumulate over time. A new neighbor moved in to replace Maelle: another snooty, Whitney. Then Tabby moved out. I’m eager to see who will replace her… a favorite peppy, like Rosie? 🙂 Pleeeeaase? 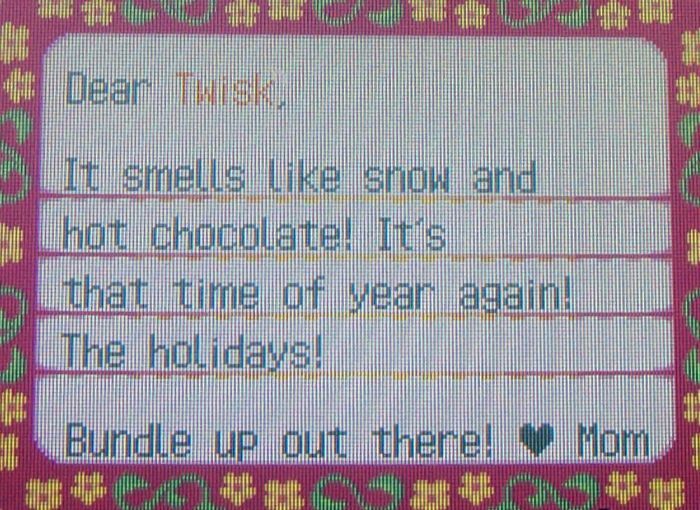 All this was happening during my winter break, so I got a holiday greetings letter from Mom. I hope you all had a happy holiday season as well! It’s supposed to be hedges or holly bushes (not enough greens on the palette to really differentiate between the two, anyway) covered with snow and decorated with festive tinsel and ornaments. 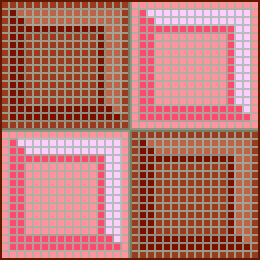 And to make this post less boring, I’ll share a few more candy-themed patterns I made a long time ago, but can’t use for my town right now because they were meant to blend in with the summer ground. This is supposed to be a peanut brittle house. I’m also working on a gingerbread house, and I hope it turns out better. 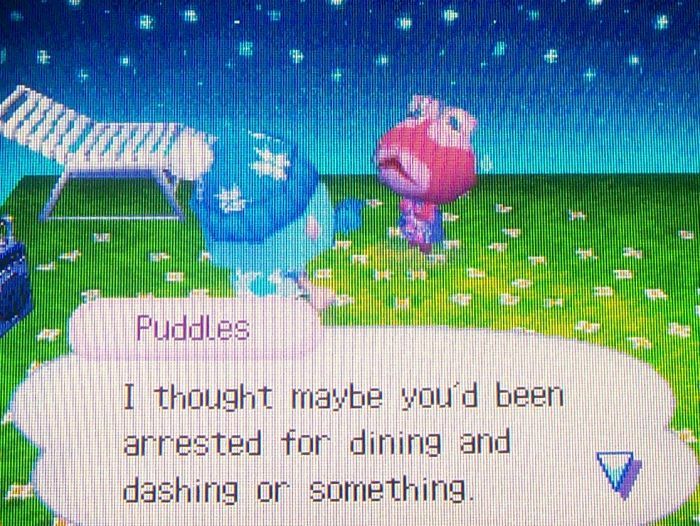 Posted on February 3, 2013 by Amy •	This entry was posted in AC:WW, Dafdilly and tagged Animal Crossing. Bookmark the permalink. 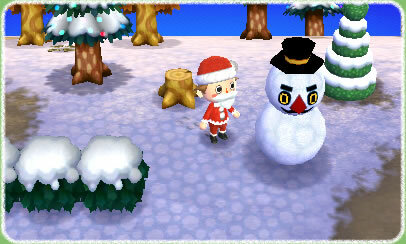 Yeah, I was actually inspired by the snow-covered hedges I’d seen in AC:3DS screenshots, they look great! I was really impressed with how the snow looked on all of the town landscaping objects and plants. Haha, I probably wouldn’t have heard of peanut brittle houses either if I hadn’t loved this (now ancient) CandyLand computer game when I was a little kid. 😛 It’s been an inspiration to me for my candy patterns: the peppermint forest, lollipop woods, candy castle, etc. I’m pretty sure that’s how it works, but it’s good to always be careful with time-travelling anyway. Maybe they have it that way to make sure that there’s always a chance for you to convince the neighbor to stay or to say goodbye; if four neighbors moved away while you time-travel forward or if you’re away for a length of time, there’s no chance at all for that. 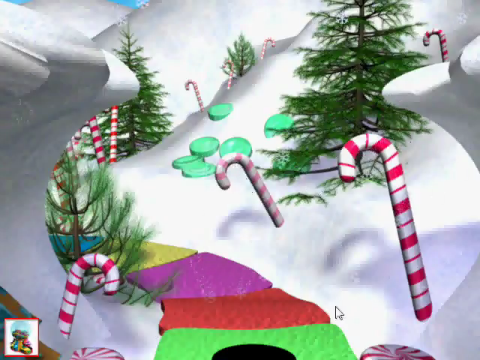 Ahhh, so CandyLand is a computer game. I never really picked up on that, I thought it was some kind of super popular boardgame, in which case I wondered how people knew details like characters and where they lived. It’s funny you mentioned a permanent resident snooty, because even while I typed that about Whitney, I was thinking, but when I get Willow in NL, I’m keeping her!!! As for Bundeena, I suppose recently Mathilda’s become my resident snooty, but I never actually planned on having one. I just have a soft spot for her because she was one of my first neighbours ever, and back then when I was still a wet-behind-the-ears newcomer, she felt like a motherly character with all her advice on manners and life (which you find out all snooties give you) and all her “wee-baby”s. Ah wow, I haven’t thought at all about the neighbors I want in AC:3DS, or the villagers much in general (with all the new customization features being most interesting to me). 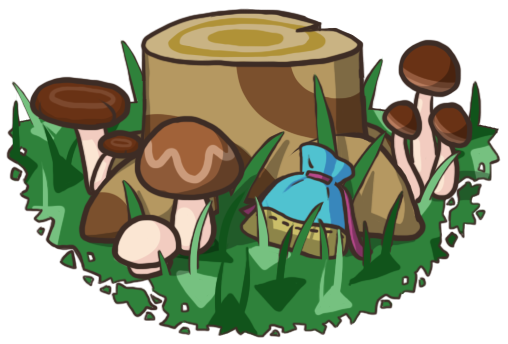 But there should be a lot of villagers from all three games along with new ones, that will be exciting! I guess I’ll probably want my favorite, Melba. I think Mathilda’s a great choice for Bundeena’s resident snooty for those reasons, and she also has a lovely house! That complete palette list is so awesome I had to comment on it!! 😀 It would sure beat cycling through the palette menu and comparing shades in your head if you were making something. Whoa!! I really like your Christmas and Candy Path, Amy! Maybe save them for your town in AC:NL? x’D since you can choose about any palette color. I know I’m not the first to use candy patterns for an Animal Crossing town; it’s a fairly popular town theme, not just with Parfait or Japanese pattern-makers (ex. : here and here and many more). But a candy theme appeals to me because it seems like an appropriately whimsical/fantasy-like theme for Dafdilly in the winter (in the spring I prefer flowery pattern paths), because of my love of CandyLand as a kid, because I’ve always used the candy carpet and wallpaper for my main room, and because, well, it’s just awesome to have your own candy world! 🙂 I didn’t base my patterns on anyone else’s, I actually based it off of the fairytale wallpaper for the most part (and it’s very possible other pattern makers were inspired by the fairytale series too), like you can see the ice cream and cherry in the wallpaper, the gingerbread below it, the chocolate bars, the graham crackers, etc. 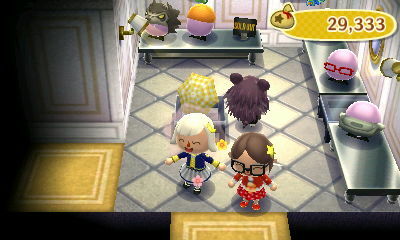 So the idea is having my whole town match my main room. 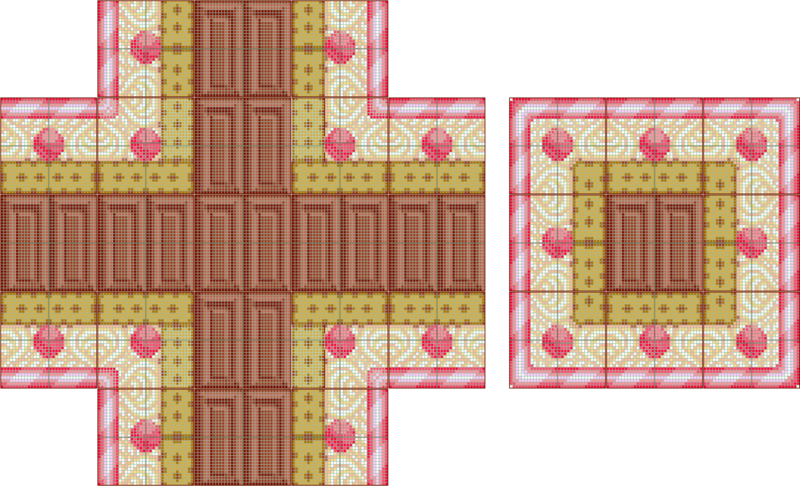 All of the pixels of the main path were thoughtfully planned by me, how to shade the candy canes to make them look 3D, how to draw vanilla cream with only white and tan, how to do all the confusing corner pieces, etc. The side path is much simpler, but I also pixelled it myself and you’ll see it’s different from other people’s, who don’t have a monopoly on chocolate bar patterns. 😛 I’m sorry for getting a bit defensive, but it sort of felt like my hours of work on the patterns were summed up as being the same as Parfait’s or others’ patterns. I’m glad you like the post, I hope I can be more active soon as well! It will be easier to post more once I’m back on track to just playing “normally” ie. time passes in Dafdilly as it does in the outside world, and I can play for a quick 30 minutes or so a day. 😛 I look forward to it! 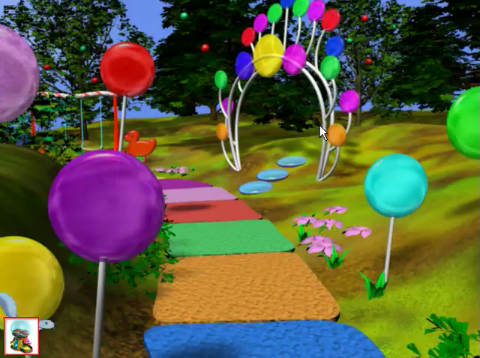 Also, Candy land is actually a computer game? 😮 …I just knew about that, I thought it was a board game. lol. It’s okay, I’m also sorry, I’m afraid that I might have sounded overly defensive. I can see how the paths are similar (same palette, both candy), but I hope they’re different enough as well, and I wasn’t trying to copy hers; I was trying to have it match the fairytale wall. Parfait’s is a lot better anyway, but I wanted to make a candy path of my own and I find that 3-space wide paths work well for my town. I like having a main path/side path system. I think you and Parfait are both great at designing. 😀 You two are my favorites at pixelling. haha. Haha yeah, I’m not sure about an entire movie based on a very simple board game for children. I expect the visuals will be amazing, maybe the storyline will surprise. and the idea of the movie makes me feel like I want it as a short episode. If it’s “that” simple of a board game with no plot (is there? xD haven’t played this yet.) and make it into a movie.. I checked Wikipedia and under the release date section it says that AC:3DS is scheduled for Q2 for North America, Europe, and Australia. I’m not sure what Q2 means exactly, but another article says “first half of 2013.” So maybe June or July? That’s summer where I live, but I think your summer starts earlier than that. 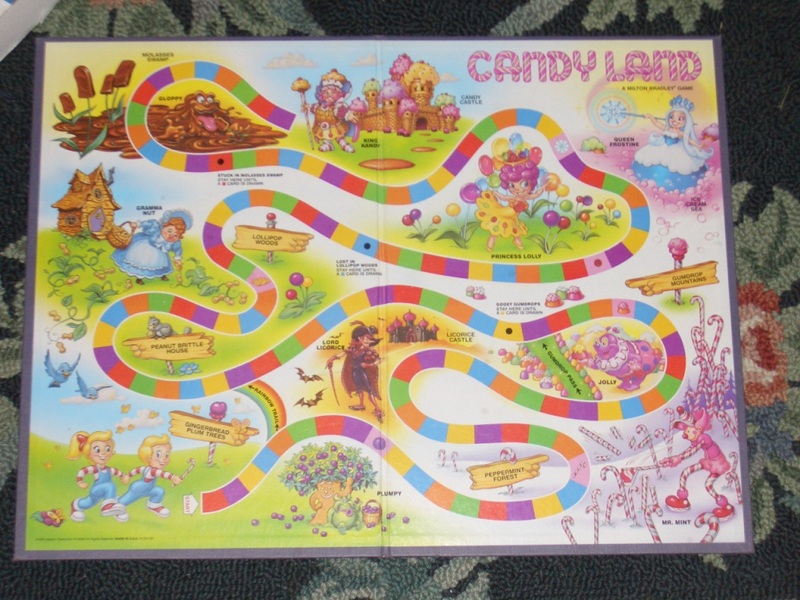 There is not really a plot to the boardgame other than traveling across the CandyLand path, and the goal is to get to the finish (which is the Candy Castle) first. I got the impression that the screenwriters are going to have to invent their own plot. 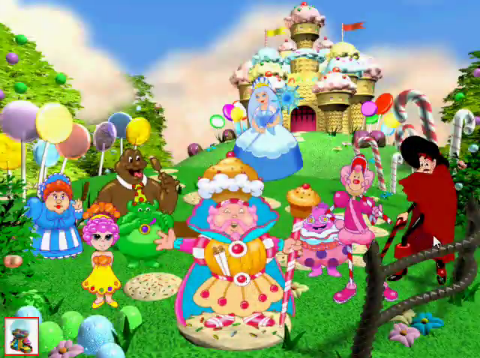 But the original boardgame does have certain characters and places that they can use for the movie, like Princess Lolly of Lollipop Woods, Mr. Mint of Peppermint Forest, Queen Frostine of the Ice Cream Sea, etc.